The COROT satellite has completed an important step in its 5-week launch campaign after fuelling up for its 3-year mission. Launch is still scheduled for 21 December from Baikonur. 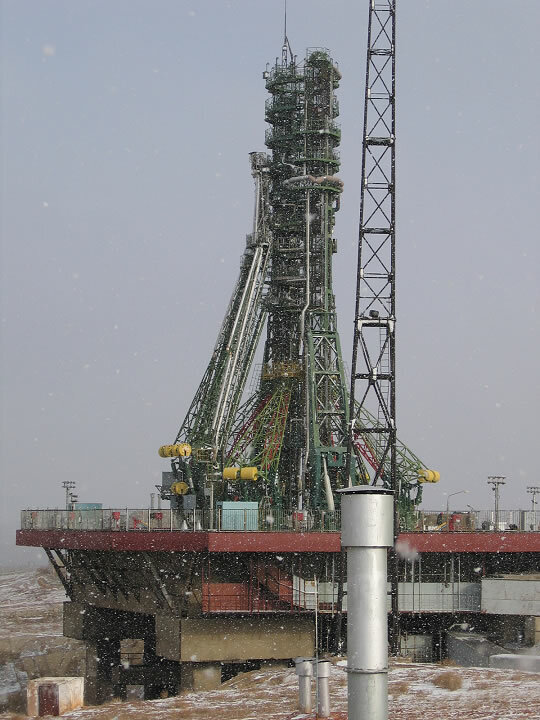 Following its arrival 15 November at the Baikonur Cosmodrome, COROT was immediately transferred to the MIK 112 integration and test building, where it will remain until shortly before launch. 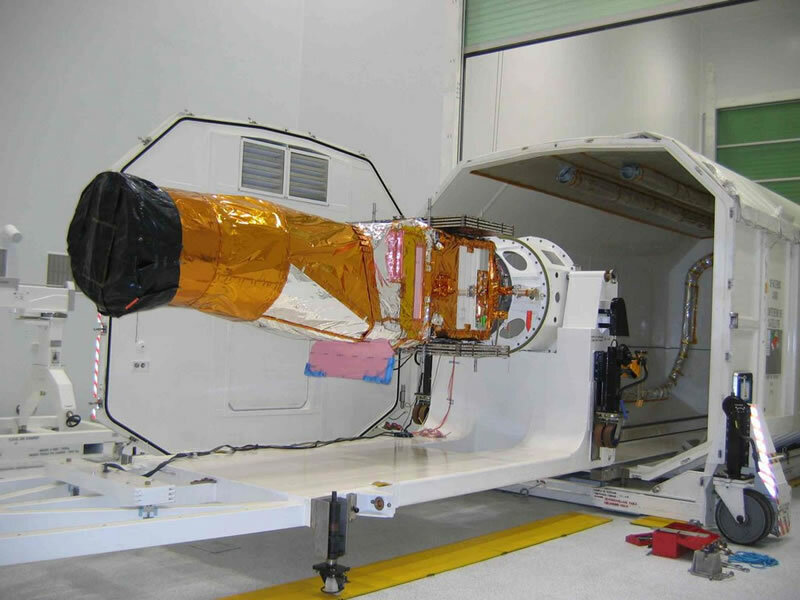 Here, the satellite has undergone a series of functional clean-room tests to check that it is unscathed after its journey, which it made in a particularly comfortable 15-tonne Spacebus 4000 pressurized container, from Alcatel Alenia Space’s Telecoms product line. 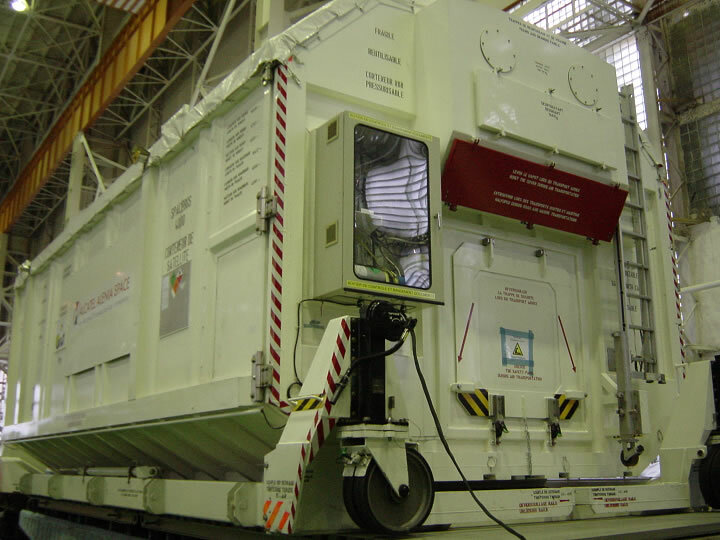 Although more than wide enough for COROT, the oversize container was needed to accommodate the satellite’s sunshield, which is more than 4 m long. The satellite’s tanks were full by Wednesday 29 November, after 9 days of fuelling operations. Although COROT is only carrying 40 litres of hydrazine fuel, “hydrazine is highly poisonous, so the surrounding area has to be scrupulously secured and great care must be taken to ensure tanks and fuelling lines are completely tight,” explains the mission’s System Manager Laurent Boisnard. If the launch, still scheduled for 21 December, were to be postponed for any reason, COROT’s tanks can remain fully fuelled until a new launch date is set. “Calipso’s tanks stayed fuelled for 246 days before it finally departed on 28 April, and there were no problems at all,” confirms Laurent Boisnard. If COROT cannot leave on 21 December, the launch will be rescheduled for the next day at the same time minus 3 min. 56 sec. to allow for the lag between the sidereal day—the time taken for the Baikonur Cosmodrome to be in the same position relative to the stars—and the solar day, which is the time taken for Earth to complete a full revolution with respect to the Sun. COROT will launch atop a Soyuz 2-1B, a variant developed specially for future Soyuz launches from the Guiana Space Centre in Kourou. The generic Soyuz 2-1A has already made 2 successful flights, the most recent having orbited the MetOp-A satellite on 19 October. COROT’s launch will be the 1st flight for the new third-stage RD-124 full-flow engine, which recently completed a comprehensive series of ground qualification tests.